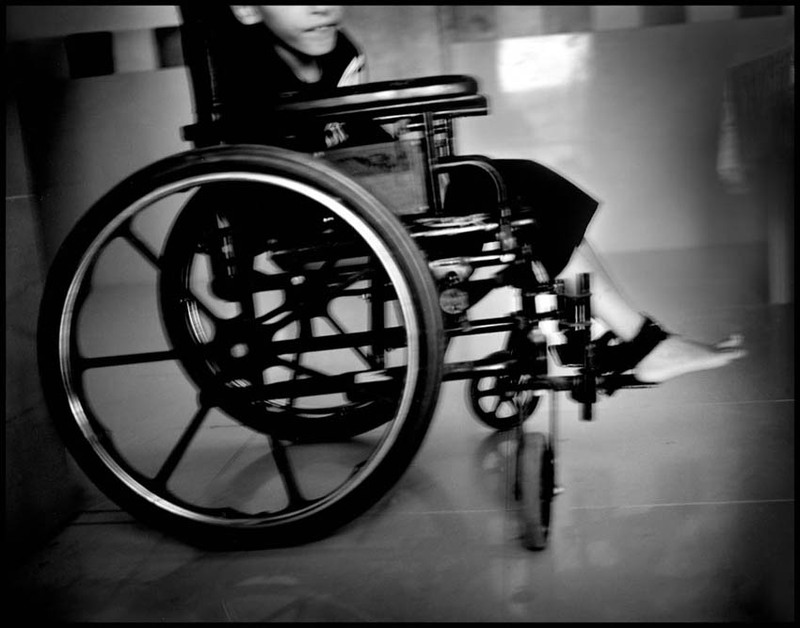 Zahi El Frigad, who was born paralyzed and uses a wheel chair. Three of his brothers were also born with severe illnesses and defects. High rates of birth defects were found among the villagers, who are deprived of medical services.